2 cups sharp shredded Cheddar cheese. Preheat the oven to 350 and spray a 10 X 13 casserole with cooking spray. 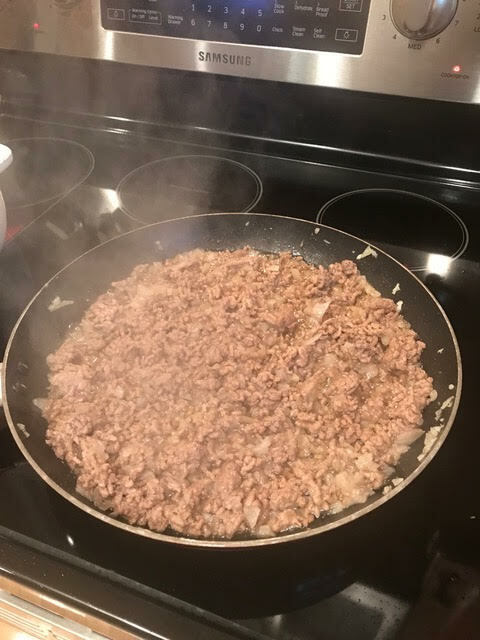 Cook the pasta and while that is going, saute the onion in the olive oil until soft and then add the ground beef. As soon as the pasta is done, drain and return to the pot. Add the cooked meat, soups, and milk to the pasta. Transfer to the prepared oven dish. Sprinkle with paprika and parsley and top with cheese.